There are two kinds of people in the world. The kind that will get upset at the following sentence, and the kind that live to hear it. Okay, ready? Halloween is coming, y’all. Summer, you’ve been lovely, but fall is basically almost here. Leaves are changing and kids are going back to school. Target is fully stocked with cute dorm decorations and it’s almost Pumpkin Spice Latte season. Halloween (and even Christmas) decorations are already popping up on shelves at your favorite stores. Disney Parks are all in, too. The wonderful world of Disney revealed some of their 2018 Halloween gear, and fans of Hocus Pocus will be very excited. Halloween is a big deal at Disney World and Disneyland. But unfortunately, there aren’t that many Disney Halloween movies to choose from. Though The Nightmare Before Christmas is great, it’s nice to see Disney embrace another Halloween film. Hocus Pocus is a classic, which is why we’re stoked that Disney Parks announced a ton of new Hocus Pocus-themed merch. The items will be available as part of Mickey’s Not-So-Scary Halloween Party at Disney World. The Disney Parks blog breaks down what will be available. For starters, there will be three T-shirts styled like each of the Sanderson sisters’ witchy corset dresses. 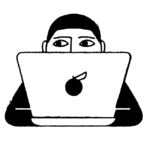 But the item we’re most excited about? 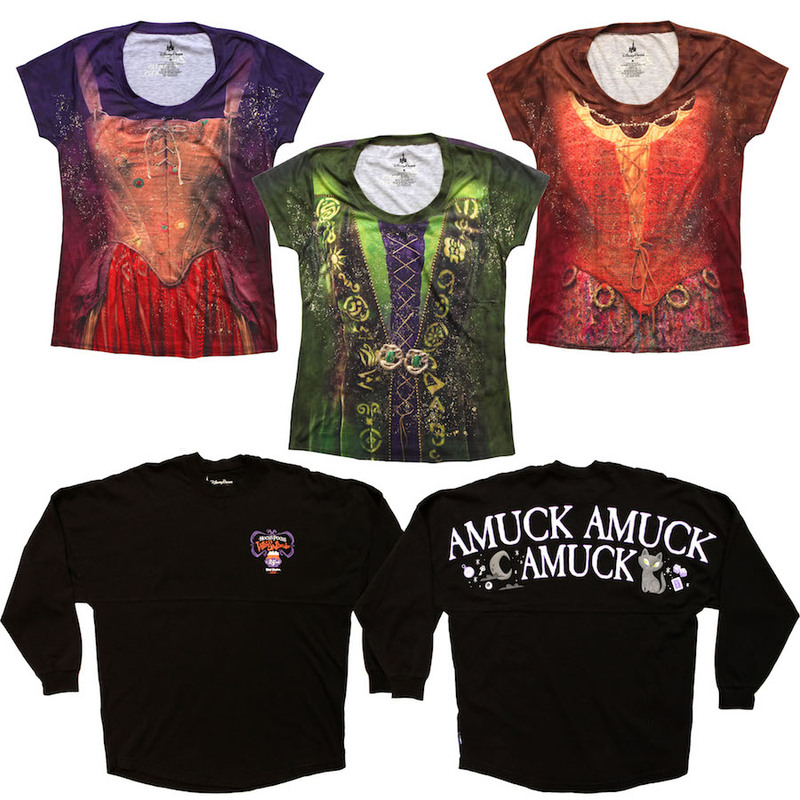 The Hocus Pocus spirit jersey featuring the quote “amuck, amuck, amuck.” YES. As Walt Disney World Events product developer Cathy Dawson noted, these shirts are perfect for people who want to attend Mickey’s Not-So-Scary Halloween Party (or any Halloween party, for that matter), but they don’t want to wear a full costume. "Guests are encouraged to dress in costumes, so the t-shirts are an easy way to create an instant Disney outfit," Dawson said, the Disney Parks Blog reports. “Encouraged to dress in costumes” is our love language. But wait, there’s even more Hocus Pocus-themed merch! That cauldron mug is e-v-e-r-y-t-h-i-n-g.
Sign us up for all of it. 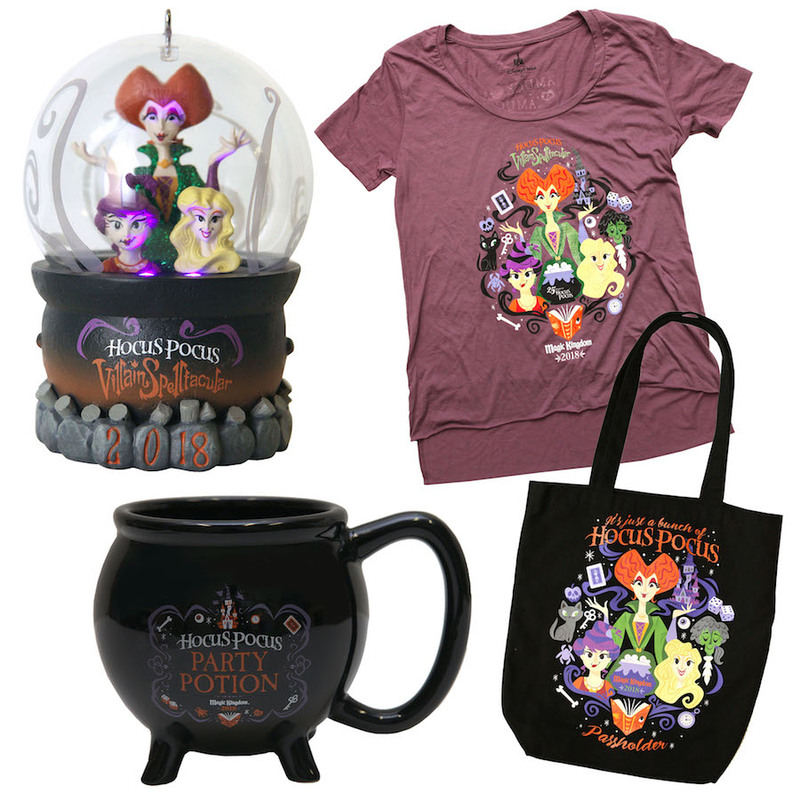 If you want to get your hands on the Hocus Pocus-themed merch, the Disney Parks Blog suggests checking Disney World’s Emporium on Main Street, U.S.A. and Big Top Souvenirs in New Fantasyland. Time to run amuck, amuck, amuck!